Between the three projected starters — Austin Slater, Steven Duggar, Chris Shaw — the Giants outfield has combined to make only 171 appearances. All three young players rank near the top of San Francisco’s prospect ranking, with Shaw leading the way. Shaw has the most potential of the three, Slater is the most proven, and Duggar has the tools to be the best defender. Slater played well in the outfield a season ago, but didn’t provide much with his bat. This young trio should have ample opportunity this year to make a mark as the Giants rebuild. 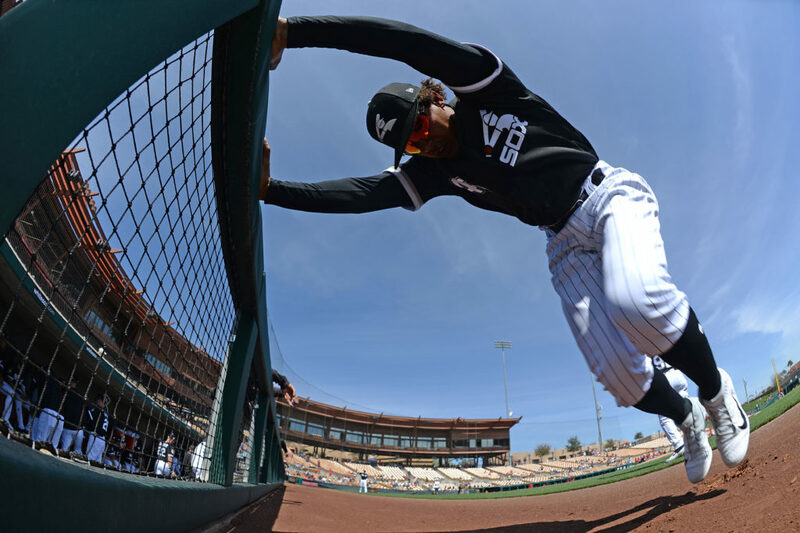 After failing to land Bryce Harper, the White Sox fanbase will turn their attention to top prospect Eloy Jimenez. While Jimenez is a big part of Chicago’s future, he will not start the season in the lineup. Jon Jay will bring a veteran presence to the field and clubhouse for the Sox, while third-year pro Nicky Delmonico will hope to regain his confidence at the plate. Though he hit eight homers a season ago, Delmonico hit a paltry .215. Adam Engel will start in center. He is a good defensive player and possesses very good speed. It is unlikely that he will ever become a threat at the plate, but he did show a steady improvement in his second season with the Sox. The Marlins had the option to start two MVPs and another All-Star in their outfield a little over a year ago. 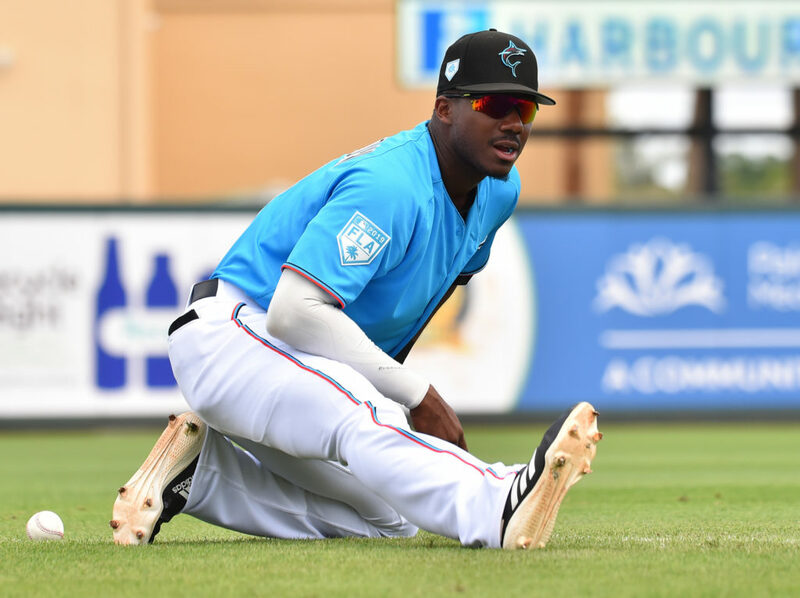 Instead, they will call on 38-year-old Curtis Granderson, journeyman Peter O’Brien, and Lewis Brinson — the most valued player acquired in the Christian Yelich trade. At this point of his career, Granderson is nothing more than a role player. He is still a viable option in left, but doesn’t garner much attention. O’Brien has displayed plenty of power in the Minors and could be an impact player for the Fish down the line. Brinson is a polarizing prospect. Some question whether he will ever be able to hit in the Majors, while others see All-Star potential. Brinson posted a .199/.240/.338 line with 11 HR in ’18. If the Orioles decide to bring back Adam Jones, they may jump a few spots in the rankings. As it stands, the O’s come in at No. 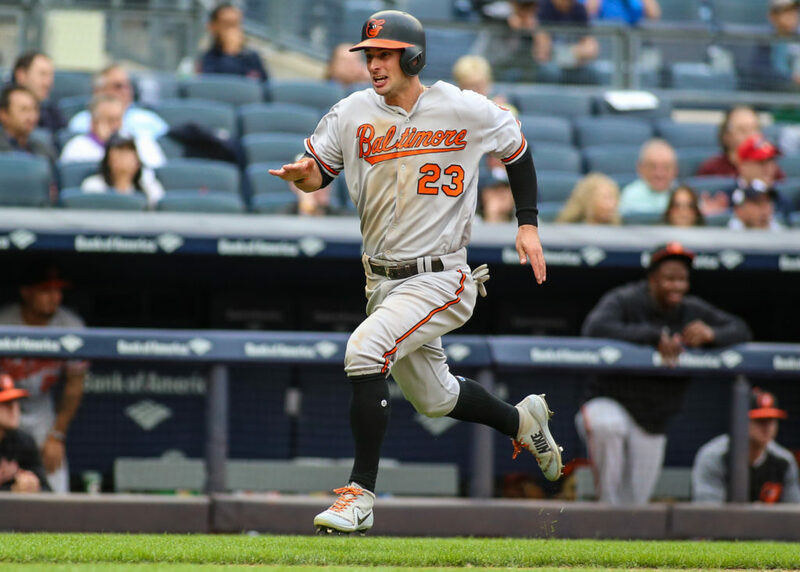 27 due to Winter Haven’s own, Trey Mancini. Mancini has hit 24 HR in back-to-back years, and will be an organizational focal point moving forward. Cedric Mullins is a dynamic athlete who should be able to cover a lot of ground in center. He has shown good plate discipline in the Minors and has some pop as well. Joey Rickard, entering his fourth season, is a decent option in right. A lifetime .252 hitter, Rickard will provide a little bit of offense but likely isn’t a long-term option for the Orioles. Yusniel Diaz — the top prospect acquired in the Manny Machado trade — will be pushing for playing time this year. The Royals are another team with a bleak outlook on the ’19 season. 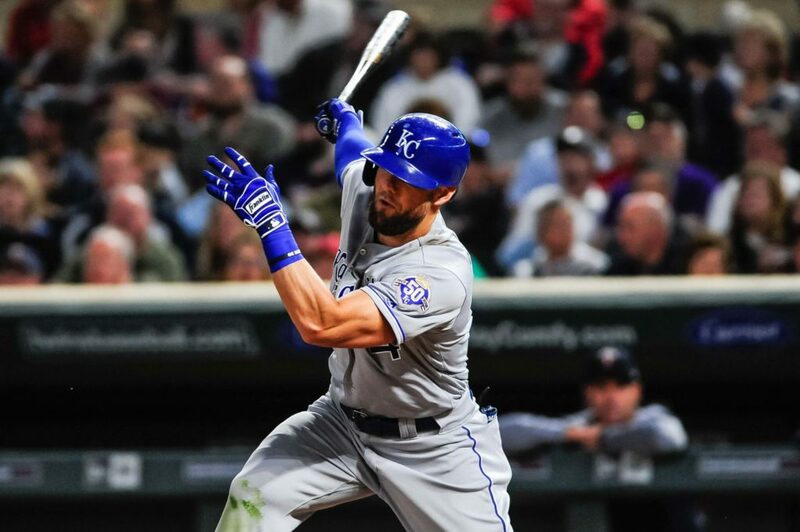 Fans will be happy to cheer for longtime fan-favorite Alex Gordon, but aside from playing Gold Glove defense in left, Gordon is a shell of his former self at the plate. 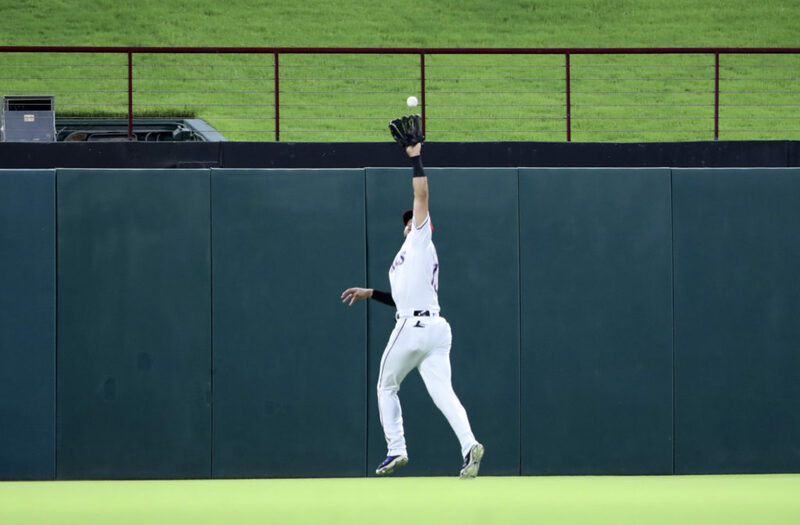 The speedy Billy Hamilton gives the Royals yet another base-stealing threat and another good glove in center, but he is also underwhelming with a bat in his hands. Jorge Bonifacio, Emilio’s younger brother, struggled throughout his second season in the Majors. After hitting 17 homers as a rookie, Bonifacio only hit four last year and saw his BA drop 30 points. The Royals should have a good defensive outfield, but they need offensive production from this trio if they want to win more games this season. 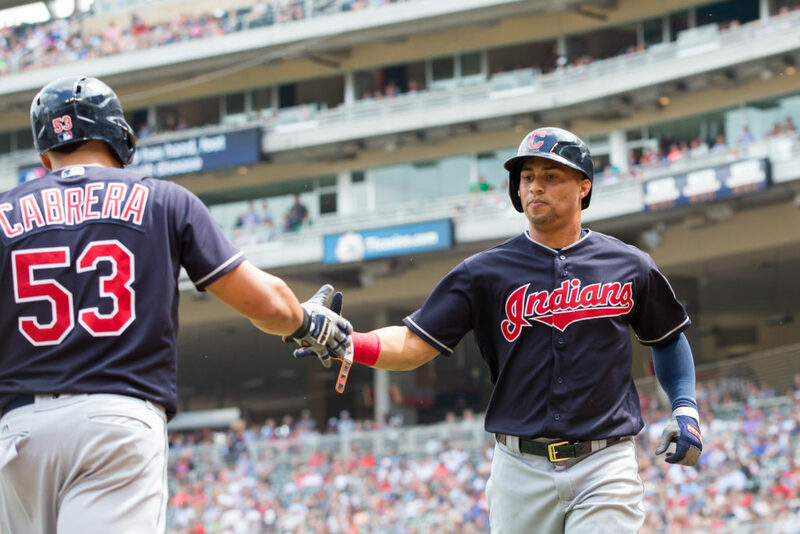 Michael Brantley’s departure has left the Indians with an underwhelming group of outfielders. The Tribe will look for an improved effort from Tyler Naquin. Naquin has had two disappointing seasons in a row following a breakout rookie year. When it comes to newcomer Jordan Luplow, the Indians hope he is able to find his way at the plate. In 64 games with the Pirates since ’17, Luplow is hitting a dismal .194. Luplow is solid in left but his leash may be short. The star of the outfield is Leonys Martin. Martin is fully healthy following a life-threatening illness last season. With Lindor and Ramirez doing the heavy lifting for Cleveland, any production from this trio would be a welcomed bonus. 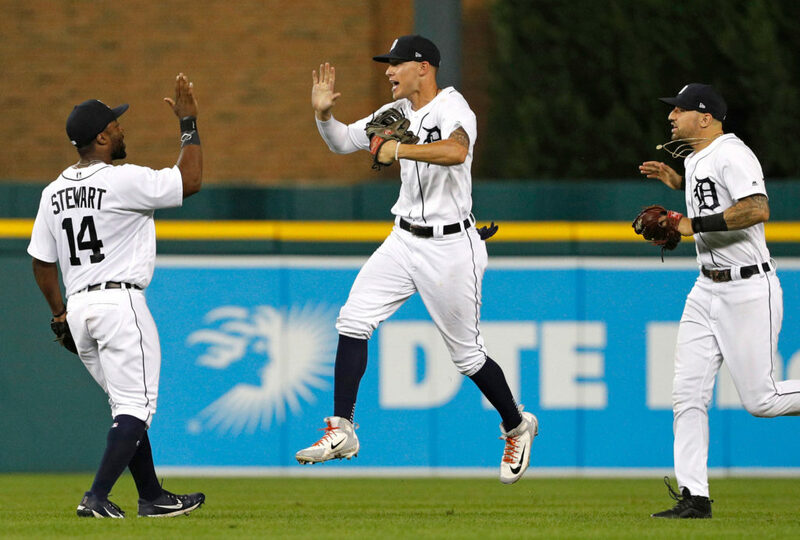 The Tigers’ outfield on Opening Day will consist of one proven star and two players trying to make a name for themselves. Nick Castellanos is coming off the best season of his career. In addition to hitting 23 homers, Castellanos posted a .298/.354/.500 line. With Miguel Cabrera due back, Castellanos could see better pitches to hit this year. Christin Stewart is a highly-touted prospect who should fit well in today’s game. He is a classic three true outcome player — he hits for power (23 HR), walks a lot (12.8%) and whiffs even more (20.7%). JaCoby Jones is entering his second full-season, but is yet to impress. Despite hitting 11 HR last year, Jones only slashed .207/.266/.364. 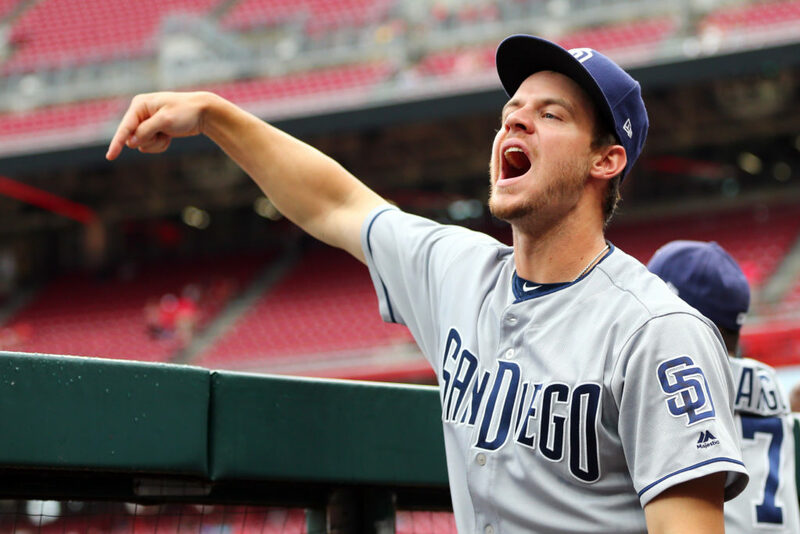 Another group of players that is surely happy to welcome a star to their city, Wil Myers, Hunter Renfroe, and Manuel Margot should all benefit from Manny Machado’s inclusion in the lineup. Myers has spent time at multiple positions over the past few years, but should settle in nicely in left in ’19. Before dealing with injuries last season, Myers hit 58 HR the two previous years. Margot, the best defender of the group, has saved 17 defensive runs since ’17. Renfroe, much like Myers, is a masher. He has hit 26 HR in consecutive campaigns, and improved across the board last season. If you look up the definition of a three true outcome player, you will find a picture of Joey Gallo. Through his first two full seasons, Gallo has 81 HR, 149 BB, 403 strikeouts and has hit .208. Delino DeShields is coming off a disappointing year at the plate in which he hit .216 with 16 XBH. His defensive value far outweighed his offensive impact, as he saved nine defensive runs and accumulated a 1.3 dWAR. Nomar Mazara hit exactly 20 homers for the third year in a row, and posted numbers consistent with his career-averages. Mazara isn’t great in the outfield, but he put forth his best effort last season. The main story coming out of Toronto this season will be the rise of Vlad Guerrero Jr.. There is not much excitement surrounding this team otherwise, and part of that is due to the state of the outfield. Randal Grichuk and Kevin Pillar represent the known quantities. Pillar is entering his 7th year with the Blue Jays and has performed well in center. He has provided a consistent approach at the plate since ’15, and remained healthy throughout. 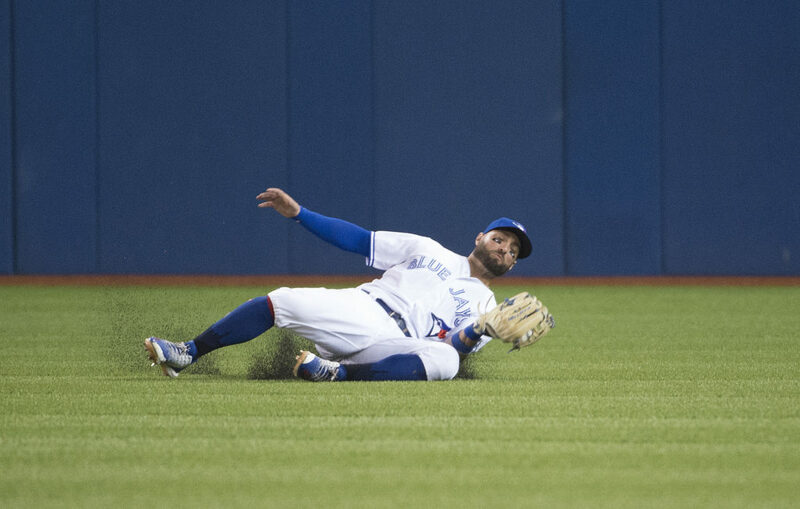 Despite an average year in the field last season, Pillar remains one of the best defensive CF in baseball. Randal Grichuk’s first year in Toronto resulted in his second-best offensive season to date. Rounding out the group is Billy McKinney. Only 24, McKinney is inline for his first extended look at the Majors. In 36 games last year, McKinney slugged six homers and hit .252. He doesn’t project to be a star, but the lefty can become a good everyday player. The ’18 season was equal parts good and bad for Charlie Blackmon. Colorado’s second star after Nolan Arrenado, Blackmon made another All-Star appearance on the strength of his offense. He led the NL in runs (119) and slashed .291/.359/.502 with 29 homers, but his defense vanished. He finished the year with a -2.7 dWAR and -28 defensive runs saved. After spending last season at first base, Ian Desmond will be making the move to the outfield. Desmond hit 22 HR but struggled to make consistent contact. He has spent enough time in the outfield throughout his career that the adjustment period shouldn’t be long. David Dahl is another player capable of hitting a lot of home runs at Coors. In 77 games last season, Dahl sent 16 into the bleachers and slugged .534. 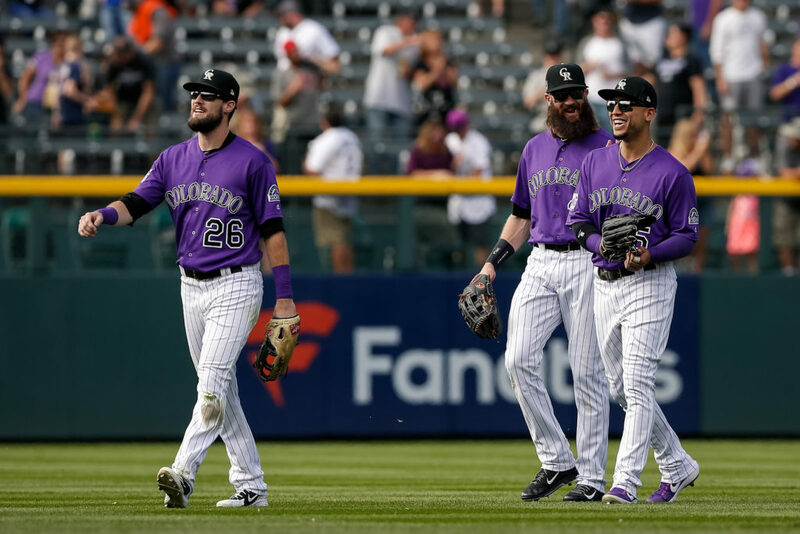 The Rockies have moved Blackmon to left in hopes of maximizing his defensive abilities. 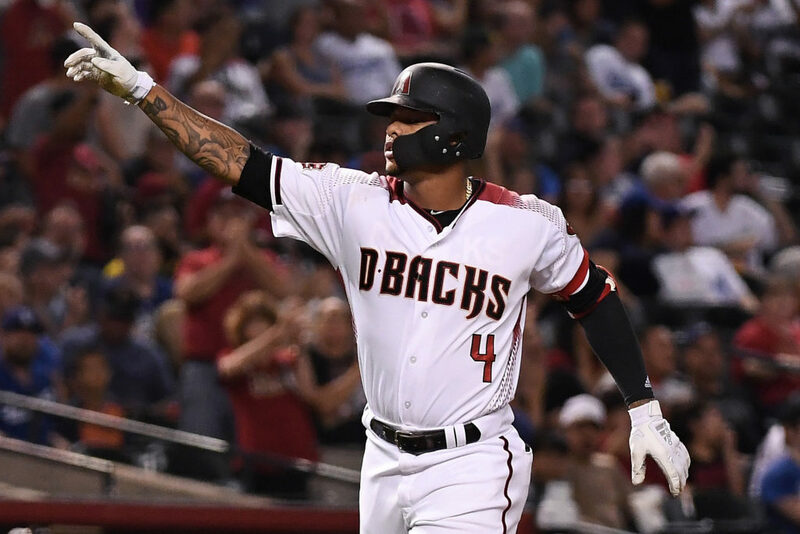 The Diamondbacks may have lost their best outfielder to a division rival, but they are content with their trio heading into ’19. Potentially easing the pain of losing A.J. Pollock to the Dodgers, was the emergence of David Peralta. Peralta slashed .293/.352/.516 with 30 HR en route to his first Silver Slugger. Taking Pollock’s place in center will be Ketel Marte. Marte enjoyed his best year at the plate in ’18, setting career-high’s in HR (14), SLG (.437) and OPS (.768). Marte was a plus defender at second base last season, but hasn’t spent any time in the outfield since joining the D-Backs. Arizona is expecting a bounce-back season from Steven Souza Jr.. Souza appeared in only 72 games after having a career-year with Tampa in ’17. Souza has steadily improved each year he has been healthy. Some people would incude Khris Davis in this outfield group, but when you start at DH 139 times — you aren’t an outfielder. So, that leaves us with Robbie Grossman, Ramon Laureano, and Stephen Piscotty. Grossman has spent the last three years with Minnesota. He hits for average but displays little power. Laureano debuted last season and fared rather well at the plate. The 5-foot-11 CF slashed .288/.358/.474 with five homers in 48 games. Most impressively, Laureano tallied nine assists and a +4 Rdrs. Piscotty is the gem of the bunch. 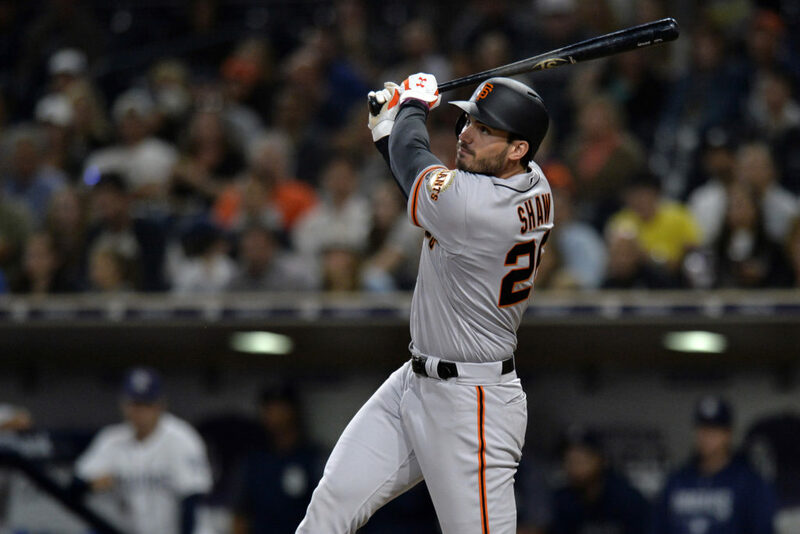 The Bay Area native hit a career-high 27 HR in addition to plating 88 runners. His defense can surely improve, but Pisotty’s bat is another dangerous weapon in Oakland’s lineup. Domingo Santana is a player that may surprise Mariner fans in ’19. Santana hit 30 HR and slugged over .500 for the Brewers in ’17. He has tremendous power in the box and a great arm in the field. Manning center will be Mallex Smith — a fourth-year player who can hit and run at a high level. Smith slashed .296/.367/.406 hit 10 triples, and stole 40 bases. Smith is capable of taking away extra-bases with his quickness on defense. That leaves us with Seattle’s star — Mitch Haniger. Haniger set career-high’s with 26 HR, 93 RBI, 8 SB, 70 BB, .285 BA, OBP, SLG, and OPS. 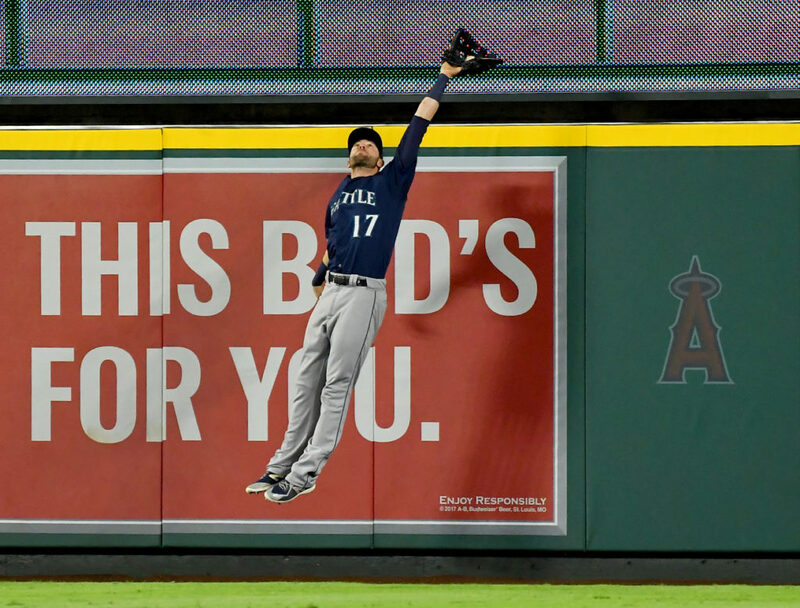 As pictured above, Haniger played great defense in right. He netted 12 assists and finished the campaign with a +9 Rdrs. 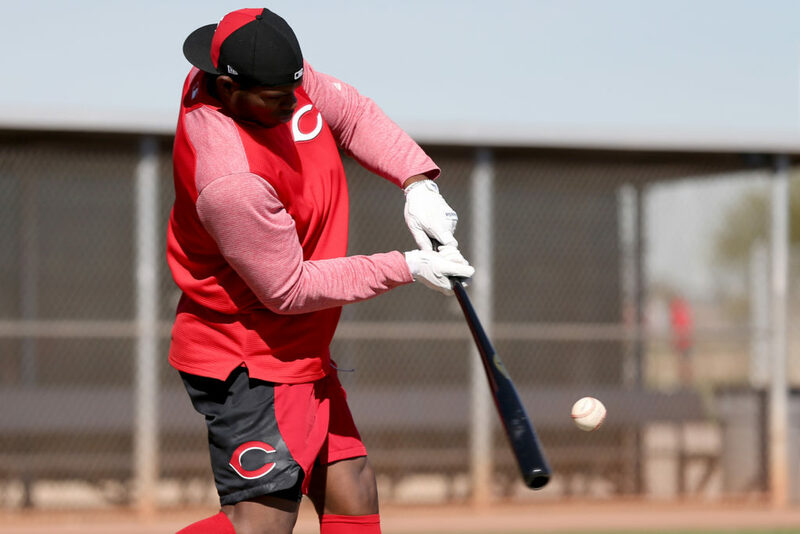 The Reds have the potential to field one of the most explosive outfields in baseball this year. Jesse Winker, a third-year player out of Olympia High School, has displayed a knack for hitting in limited time thus far. In 136 games, Winker is slashing .299/.397/.460 with 14 HR. His defense…not so good…to the tune of -14 defensive runs saved last year. One-of-two former Dodgers in Cincinnati’s outfield, Scott Schebler is a power hitter. He blasted 30 HR in ’17, and 17 more a season ago in 34 fewer games. However, like Winker, he is not a good defender. And then there is Yasiel Puig. Puig should benefit from playing in a hitters ballpark for the first time in his career. Puig has hit 51 homers since ’17 and has shown improved patience in the box. Puig’s arm is a serious weapon in the field. He notched 10 assists last year, and saved 18 defensive runs in ’17. The Cubs’ outfield hasn’t lived up to expectations. Kyle Schwarber bounced back from a rough ’17. Schwarber saw his power diminish slightly, but his overall approach at the plate improved. He made more contact and increased his average by 27 points. His defense remains shoddy, but it was much improved compared to his past performances. Albert Almora failed to make a big impact in his second season. His power never arrived, as he only hit eight homers in 152 games. Despite his lack of big-time hits, Almora still hit .286 and played excellent defense in center. Jason Heyward had his second improved season in a row. After his BA dropped to .230 in ’16, it reached .270 in ’18. Heyward’s ability to get on-base (42 BB vs. 60 SO) is a boon for the club. His streak of four-straight Gold Gloves ended, but Heyward remains a valuable defender. 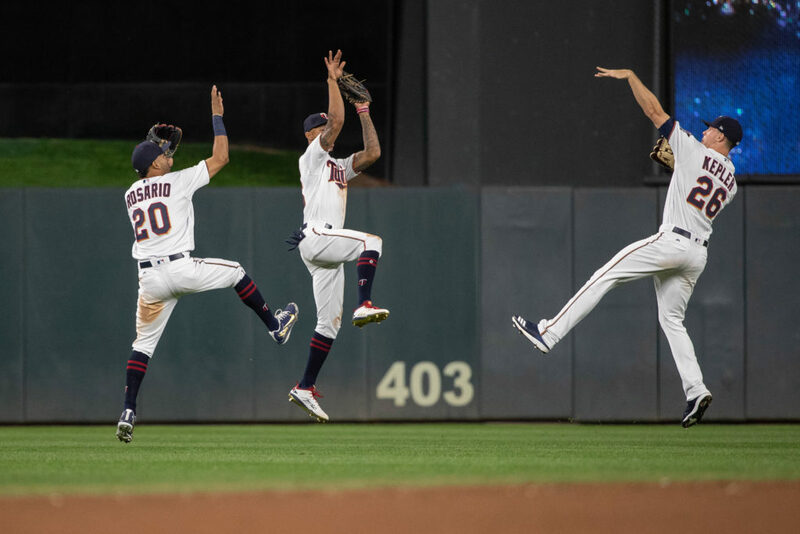 If you don’t follow the Minnesota Twins or one of their rivals in the American League Central, you are probably unaware of the talent roaming the outfield at Target Field. Eddie Rosario has been a very good player the past two years for the Twins — posting a two-year average of 26 HR, 78 RBI, .289/.326/.493. As a regular in left, Rosario saved six defensive runs last year. Byron Buxton, the most talented of the bunch, is set to return to the starting lineup after appearing in just 28 games a season ago. Buxton is a five-tool player with the potential to be one of baseball’s best players when he puts it all together. He possesses top-notch speed, a great hit tool, and superior defensive ability. Still only 25 years old, Buxton has time to hit his stride. Occupying the other corner outfield position is Max Kepler. Kepler is good for around 20 homers per year, but also 100 strikeouts. Kepler had a great year in the field in ’18, saving 10 defensive runs. Even without the services of Yoenis Cespedes for potentially the entire season, the Mets enter the year with a lot of faith in their outfield group. The trio is led by former All-Star Michael Conforto. 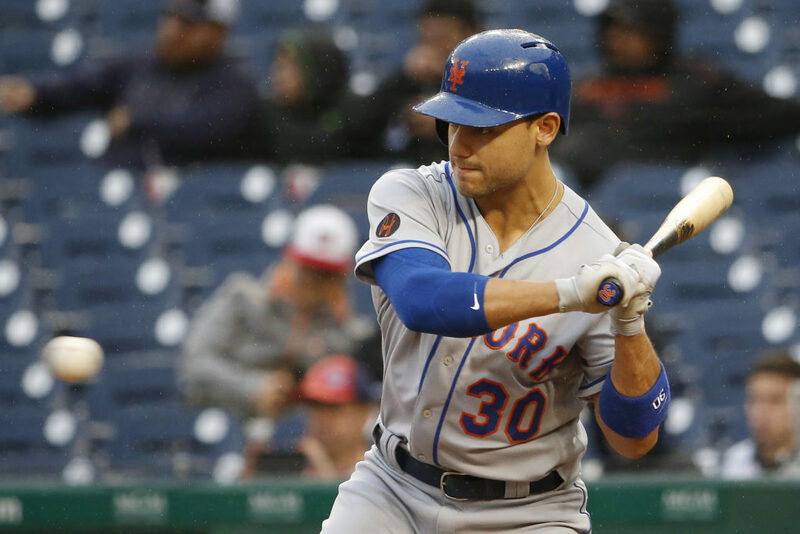 Conforto has developed into a good hitter in New York — strikeout problems withstanding. Conforto has launched 55 HR since the start of ’17, but last year K’d 159 times. The star struggled while in center, but should be fine handling left field duties. Juan Lagares is ready to slot into the starting lineup on a regular basis for the first time in four years. Lagares doesn’t scare you with his bat, but he has shown the ability to be a great defensive CF at this level. Rounding out the group is Brandon Nimmo. A former first-round pick, Nimmo is fresh off his first complete campaign. His ability to hit for power (17 HR) and get on-base (80 BB) are impressive for a first time regular. However, striking out 140 times is a bad look. Thus far, Nimmo isn’t a special defender. He won’t commit many errors, but he lacks the quickness to take away some XBH’s. The Rays seem to always sneak up on the rest of the league and play better than they are projected to. When looking at their outfield, a few things pop out. 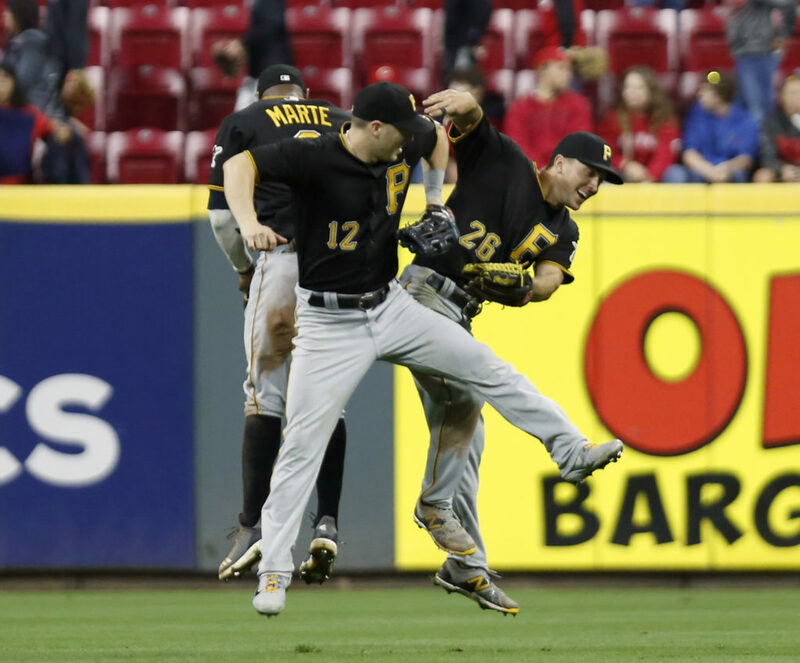 Kevin Kiermaier is a wizard in center, Tommy Pham really seemed to enjoy facing AL pitching, and Austin Meadows is in the perfect place to live up to his billing. Kiermaier has battled injuries since his breakout ’15 season, but he remains as gifted as they come in the field. 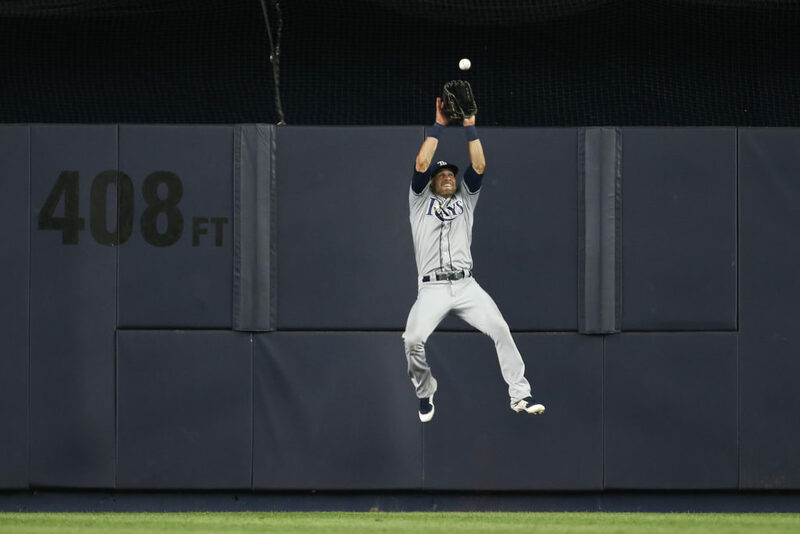 In a ‘down’ year defensively, Kiermaier still managed to save 14 defensive runs. Pham, after spending the first 4.5 years of his career in St. Louis, couldn’t be stopped upon arriving in Tampa. In 39 games, Pham posted a blistering .343/.448/.622 line. If Pham can come close to duplicating his stellar ’17 season, the Rays may make another run at the postseason. A key acquisition in the Chris Archer trade, Meadows will face little pressure in his new digs. If he can hit up to his capabilities, Meadows can be a future All-Star. One of the main reasons Pittsburgh felt comfortable surrendering Meadows is the play of their current CF, Starling Marte. Marte is the star of an underrated outfield. In addition to being an All-Star and two-time Gold Glove winner, Marte is a lifetime .286 hitter with both power and contact skills. Rounding out his game, Marte is a constant threat to steal a base — averaging 34 steals per year since ’13. Pittsburgh trots out another All-Star and Gold Glove winner in left, Corey Dickerson. Dickerson posted his best defensive numbers since arriving in the Majors in ’18, accounting for 16 defensive runs saved. Oh, and he hit .300. The third outfielder, Gregory Polanco, is due back in the lineup towards the end of April. A decent hitter, Polanco slugged 23 HR for the Pirates last year. He is the biggest liability in the field of the trio, but Polanco is a good enough player to warrant everyday action. 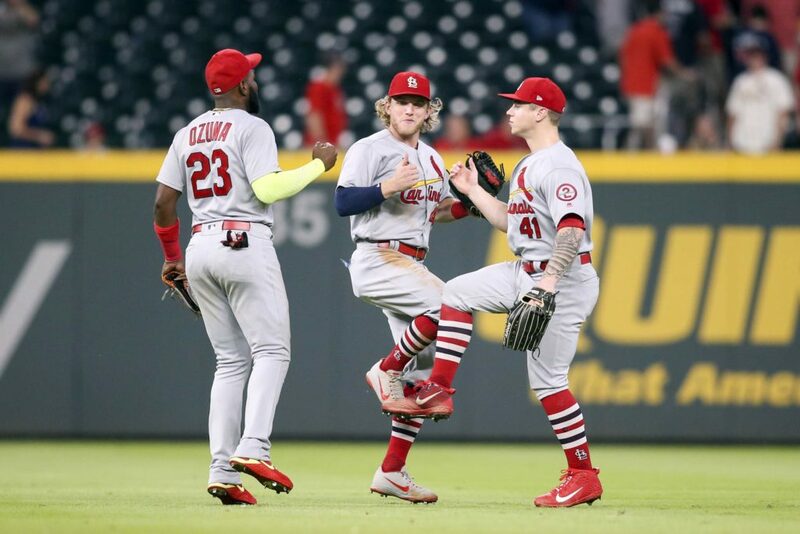 If the Cardinals want to return to the postseason in ’19, their outfield must perform up to their ability — hello, Dexter Fowler. Starting in left will be the exciting Marcell Ozuna. Ozuna, a two-time All-Star and Gold Glove winner, performed well during his first year in St. Louis, but didn’t quite meet the level of play he displayed his last year in Miami. With the exception of the month of July in which he hit .210, Ozuna was actually pretty good in the box for the Cards. Equally as important to the club, Ozuna did well in the field. He posted a +9 Rtot and +8 Rdrs. Harrison Bader made a huge impact as a rookie. While he didn’t have a stellar year at the plate — .264/.334/.422 with 12 HR — Bader was sensational in center. Bader possesses elite speed and makes more catches that he shouldn’t be able to, than just about any other outfielder. Bader will win multiple Gold Glove’s throughout his career. So far so good, right? Well, this is where we discuss Fowler. Fowler was awful last year. He had, far and away, the worst season of his career. He slashed an embarrassing .180/.278/.298 with 75 strikeouts in only 90 games. His .180 BA was a full 70 points lower than the second-worst mark of his career. Further complicating matters, Fowler was a below-average defender in right. Yikes. The Astros once again enter the season as one of the favorites to reach the World Series. Being such a complete team, it seems a bit unfair that they were able to add Michael Brantley to the fold. A lifelong Indian, Brantley provides the Astros with yet another elite hitter. When healthy, Brantley is a consistent .300 hitter. His health is a major concern, but should he remain in the lineup all year, the ‘Stros will send yet another player to the All-Star Game. Manning center is George Springer — hero of the ’17 World Series. Springer is coming off a poor year by his standards, but he remains a 30+ HR threat and one of the most talented players in the game. The weakest link is Josh Reddick. 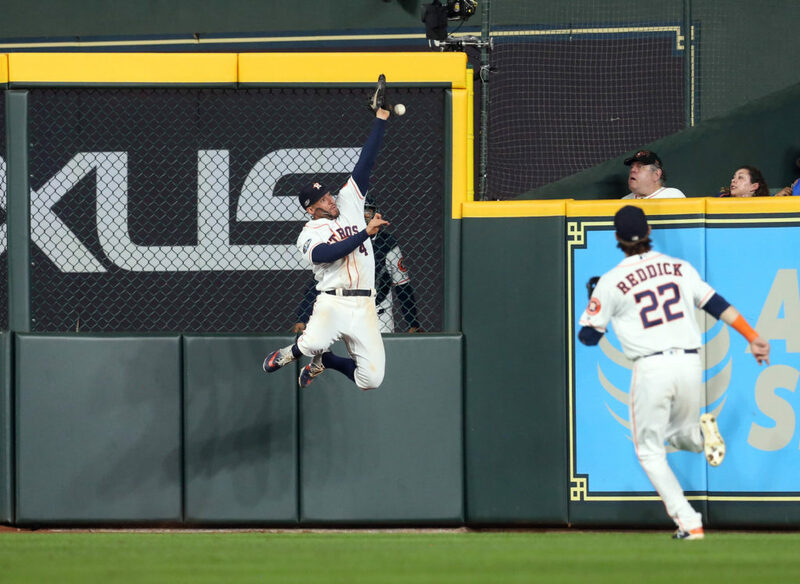 That is not a shot at Reddick, but more of a recognition of how good Houston’s trio is. Reddick wasn’t great last season, but he is only two years removed from hitting .314. His defense has slowed a bit in recent years, but he possesses a cannon of an arm and still saved six defensive runs in ’18. The Nationals may have lost Bryce Harper to the Phillies, but don’t feel too bad for them. Washington is in good hands when it comes to their outfield. 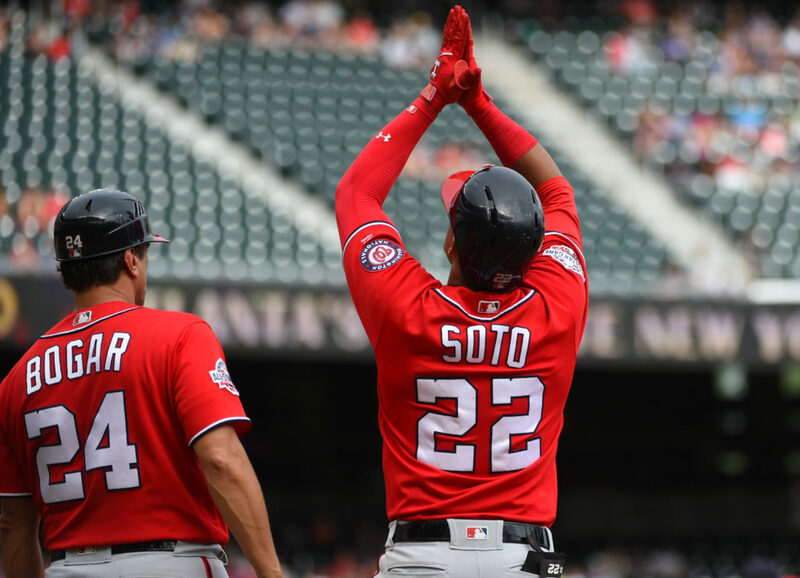 20-year-old Juan Soto is a future MVP. As a 19-year-old rookie, Soto slashed .292/.406/.517 with 22 HR and 79 BB. Soto needs to improve in the field, but the sky is the limit for this kid. Washington has a second future-stud in center — Victor Robles. Robles was held back last year due to an elbow injury, but the 6-foot righty is held in high regard. Robles is incredibly fast, has above-average arm strength, is already a good defender, and is disciplined in the box. Rounding out the trio is Adam Eaton. Eaton’s time with the Nats has been marred by injuries. He has played in just 118 games in two years, but Eaton has performed the entire time. The 30-year-old has slashed .300/.394/.422 for the club, and should be a fixture at the top of the order. For the past few years, the Dodgers have been trotting out a different trio seemingly every other day. With Matt Kemp and Yasiel Puig now in Cincinnati, there is a clearer picture in LA. Joc Pederson will begin the year in left, accompanying newcomer A.J. Pollock in center, and Cody Bellinger in right. Pederson enjoyed his best all-around season at the plate in ’18. In addition to sending 25 balls over the wall, he set career-high’s in BA (.248) and SLG (.522), while also dramatically cutting down his strikeout rate. Pollock will provide the club with similar offensive production to Pederson, but has a higher upside. When healthy, Pollock is a problem on the bases — career-high 39 SB — and is a plus defender. Lastly, the Dodgers view Bellinger as a franchise cornerstone. After winning the Rookie of the Year in ’17 on the strength of a 39 HR campaign, Bellinger regressed last season. He looked lost at the plate most of the year and was used sporadically down the stretch. That being said, he still slugged 25 HR and played excellent defense. Bellinger has MVP potential given his ability to hit, defend, and run. 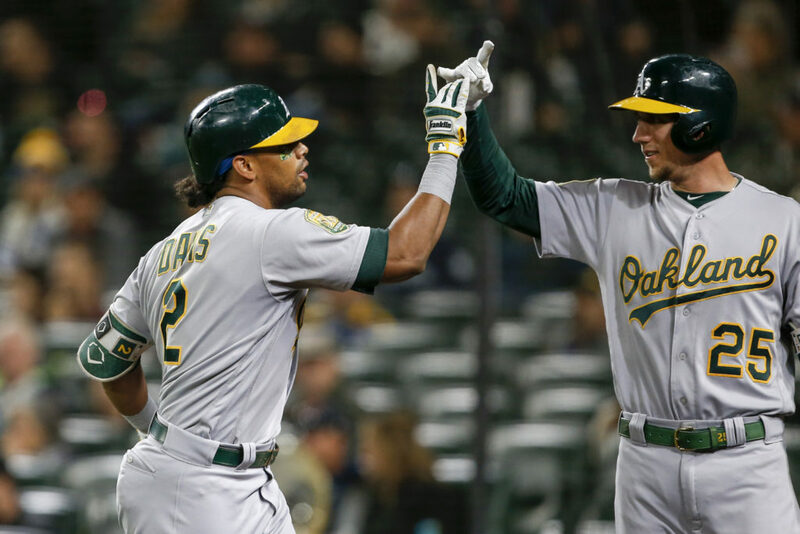 Much like the A’s and another team coming up, the Yankees’ outfield would rank higher if I chose to include Giancarlo Stanton as part of the trio. Stanton made 72 appearances in the outfield, compared to 86 at DH. Brett Gardner has continued to play regularly in left, though his time is likely running out. He slashed a paltry .236/.322/.368 with 12 HR in 140 games. Defensively, Gardner remained a valuable member of the team. He finished the year with a 0.9 dWAR and +10 Rdrs. The two focal points, however, remain the two Aaron’s. Hicks, 6-foot-1, became an integral part of the team in his third season in Pinstripes. In shattering his career-high’s in runs (90), hits (119), HR (27), RBI (79), and BB (90), Hicks was a force in the lineup. And then there is the main attraction, Judge. A colossus of a man at 6-foot-7, 282 pounds, Judge notched his second-straight All-Star appearance in ’18. Despite missing a chunk of the season with a broken wrist, Judge still hit 27 dingers and had an OPS over .900. Judge also makes a difference in the field. Since ’17, Judge has saved 23 defensive runs and has 14 assists. If you look strictly at the Phillies’ combined 4.2 WAR, it is understandable to question why they come in at No. 5. Two-thirds of Philly’s outfield are offseason signings — Andrew McCutchen and Bryce Harper. McCutchen is no longer an MVP contender, but he remains an effective player. He has hit no fewer than 20 homers since ’10, and still finds his way on-base at a good rate. Now that he is playing a corner-outfield position, his limitations athletically do not factor in as much. The third outfielder, Odubel Herrera, is a promising player. Despite having a career-worst year at the plate in ’18, Herrera still notched a career-best 22 HR and 71 RBI. He had a down year in center as well — -11 Rdrs — but has proven to be a good defender in general. 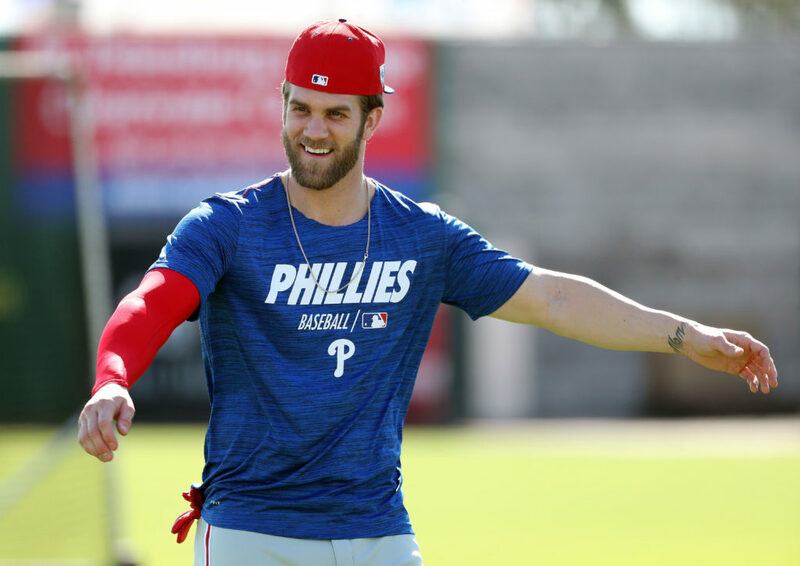 Philadelphia’s newest superstar, Harper, is due for a big year. Harper has fared well at Citizens Bank Park throughout his career. In 47 starts, Harper has hit 14 homers with a .564 SLG and .930 OPS. An uptick in consistency at the plate, and effort in the field, would be appreciated by the Philly faithful. I’m fully expecting Harper to go off this season, which is a big reason why the Phillies land at this spot. The Braves’ outfield is comprised of two defensive-studs and a potential future face of the league. First, the defensive standouts. 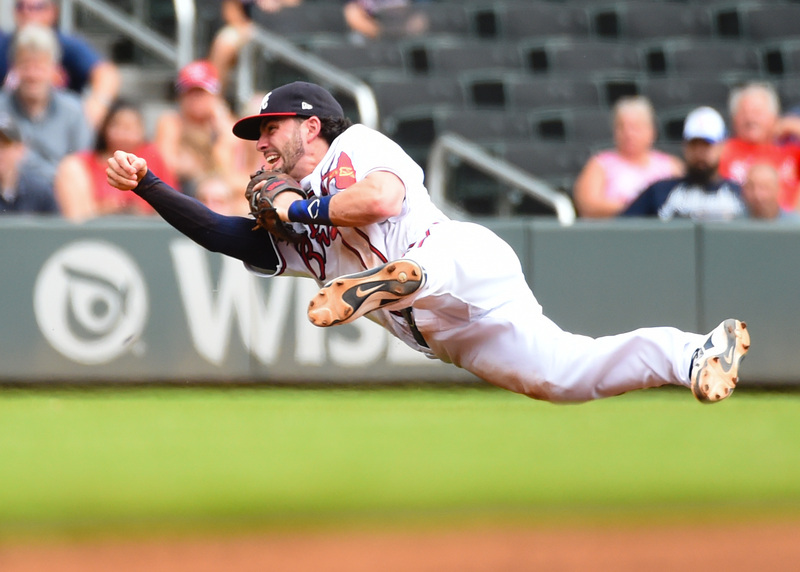 Centerfielder Ender Inciarte has dazzled with his glove since arriving in Atlanta three years ago. He has captured a Gold Glove in each of his three seasons with the Braves, and has saved 37 defensive runs in that time. No slouch at the plate, Inciarte hit .304 in ’17. In right, the Braves employ 13-year vet Nick Markakis. Also a three-time Gold Glove recipient, Markakis received his first All-Star nod last year. In addition to slashing .297/.366/.440 with 93 RBI, Markakis won a Gold Glove and Silver Slugger. For as good as those two are, they don’t match the talent of Ronald Acuna Jr.. 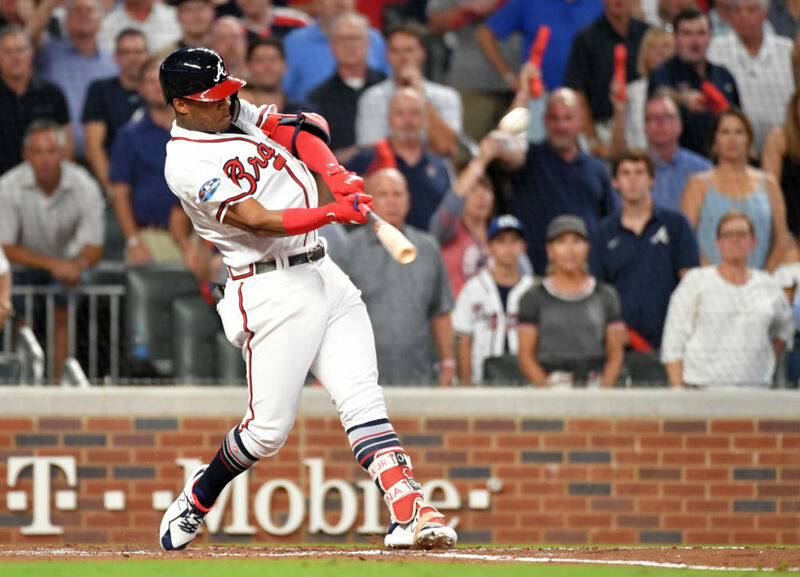 The ’18 NL Rookie of the Year, Acuna tallied 56 XBH and slashed .293/.366/.552 as a 20-year-old. Accompanied by a good defensive skill-set, Acuna will be a superstar in Atlanta for years to come. For starters, any outfield that includes Mike Trout should always be considered one of the best in baseball. What helps the Angels land this high, however, is Justin Upton playing next to Trout. There isn’t much need to talk about Trout. Simply, he is one of the all-time greats and is only 27 years old. Upton, one of the best corner outfielders in baseball, is also a four-time All-Star and three-time Silver Slugger. Upton has averaged 30 HR from ’13-18. He hasn’t been an above-average defender during his career, but he is a decent two-way player. The third wheel, Kole Calhoun, has had two bad seasons in a row. His BA has dropped from .271 in ’16, to a career-low .208 last year. He still provides some pop (38 HR since ’17), but he needs to get back to his former self in the box. Led by uber-prospect Jo Adell, two of the top three prospects in the Angels’ system are outfielders. Calhoun will be looking over his shoulder if he continues to struggle. 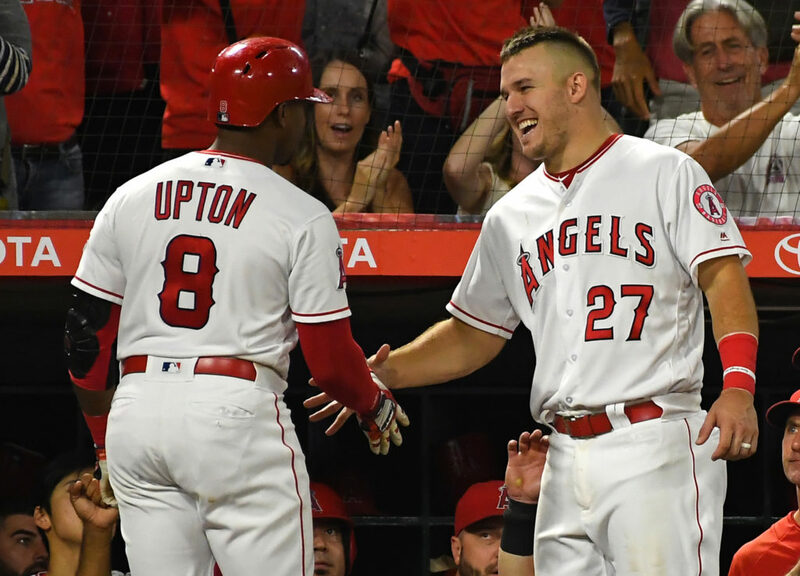 Nonetheless, Mike Trout still plays in Anaheim — he is worthy of the top-5 on his own. It’s probably a good sign when your worst starting outfielder is a former MVP and six-time All-Star. Ryan Braun, one of the all-time Milwaukee greats, is not the player he used to be. Still, he is a 20+ HR hitter who has managed to improve his approach at the plate in the past few seasons. He has cut down his strikeouts, and remains a viable threat in the middle of the order. In center, the Brewers are able to call on a former ALCS MVP — Lorenzo Cain. Cain stayed true to himself in his first year as a Brewer in ’18. He slashed .308/.395/.417 and had the 7th best WAR (6.9) for a position player. Cain also continued to shine defensively, posting a +20 Rdrs en route to a 7th place finish for the NL MVP. 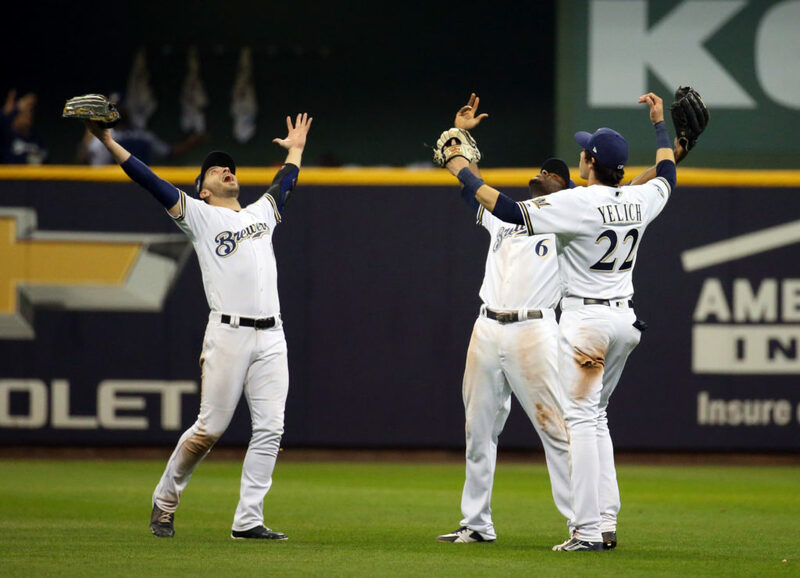 It only gets better for Milwaukee, as ’18 NL MVP Christian Yelich occupies right. Yelich has flashed his defensive skills throughout his career and has won one Gold Glove thus far. He has always been a good hitter, but he exploded last year. In addition to hitting 36 HR and driving in 110 runs, Yelich stole 22 bases, and led the NL in BA (.326), SLG (.598) and OPS (1.000). Other than Braun’s age, is there anything to dislike about this trio? Does it come as a surprise that the top-3 outfields feature Trout, Yelich, and Mookie Betts? It shouldn’t. Staying true to my logic in not including Davis and Stanton when considering true outfield trios, J.D. 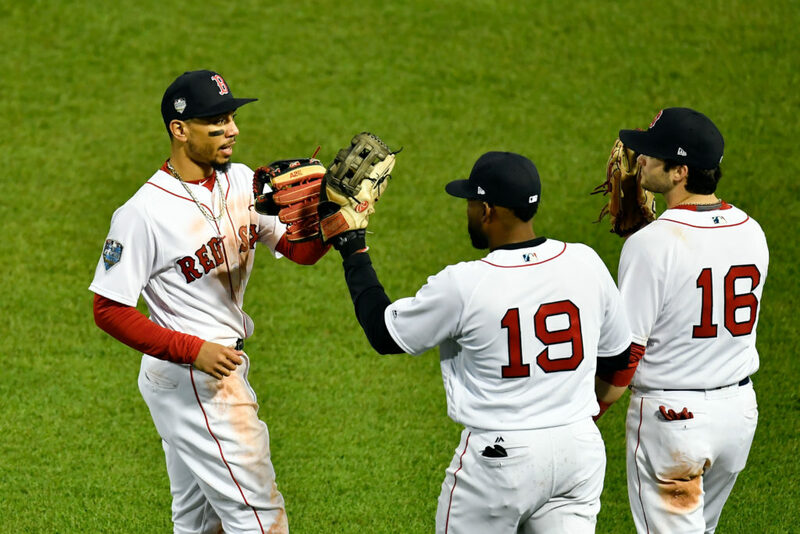 Martinez will be left out of the Red Sox trio. Regardless, the Red Sox are living the good life. Andrew Benintendi is coming off a great sophomore season in which he improved across the board. He is a talented hitter and has proved to be a good defender at a young age. Benintendi has a slashline of .280/.359/.444, 36 HR, and a +13 Rdrs while playing leftfield since ’17. In centerfield, Jackie Bradley Jr. is looking to carry over the momentum he started in the playoffs. Despite having a down year at the plate in the regular season, Bradley hit three huge homers in the ALCS and World Series for the Red Sox. Though his offense was M.I.A. for most of the year, he starred defensively. Bradley accrued a +25 Rtot and captured his first Gold Glove. And then there’s Betts. There is nothing Betts can’t do. Three Gold Glove’s. Three-time All-Star. Two-time Silver Slugger. Batting champion. MVP. He’s pretty decent. In ’18, Betts slashed .346/.438/.640 with 32 HR. In addition to pacing the Majors in BA and SLG, Betts scored a league-high 129 runs and posted a MLB-best 10.9 WAR. Let’s see what he can do for an encore.